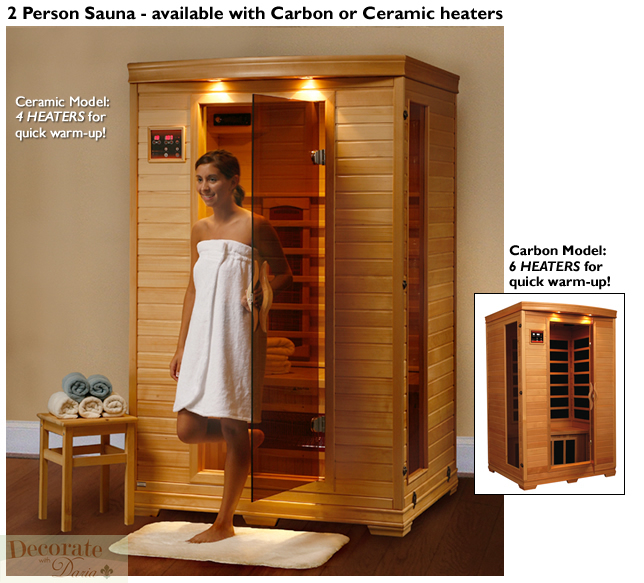 The Coronado 2 Person Infrared Sauna is perfect for relaxing and rejuvenating and will fit in virtually any room in the house. 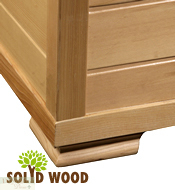 The natural Hemlock wood color will enhance any decor. 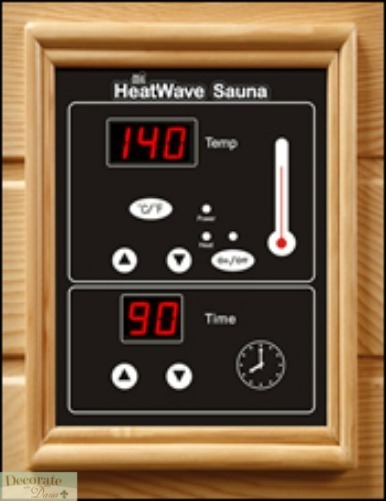 Our exclusive InfraWave FAR heat technology heaters emit ultra low levels of EMF, making them safe and beneficial to your health. 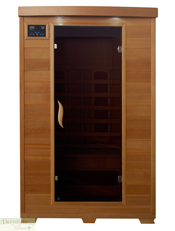 Its EZ Touch dual interior and exterior LED control panels allow for easy temperature control. 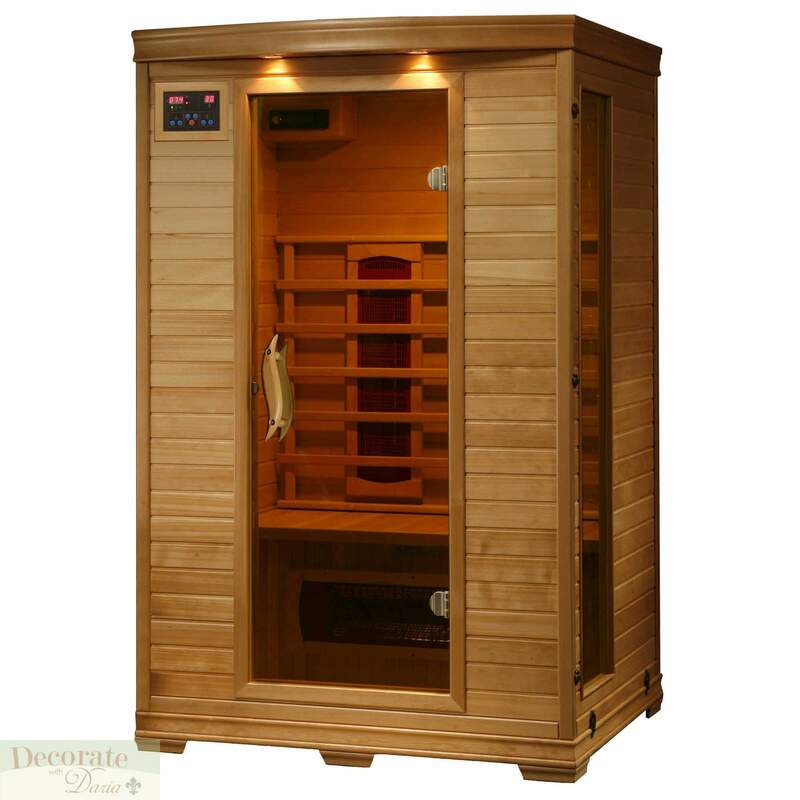 This sauna is available with Carbon InfraWave FAR heaters, and is loaded with tons of extras, including towel hooks, magazine rack, CD Player with mp3 plug-in, back rests, 7 color CHROMOTHERAPY light and an oxygen ionizer. The Coronado is perfect for basking in the warmth with your family or friends - add one to your home today! 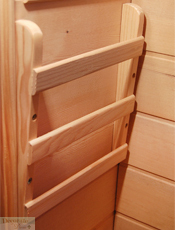 5 CERAMIC HEATERS - other inferior sauna brands have only 2 heaters. 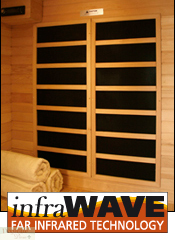 More heaters means your HeatWave Infrared Sauna is more effective! 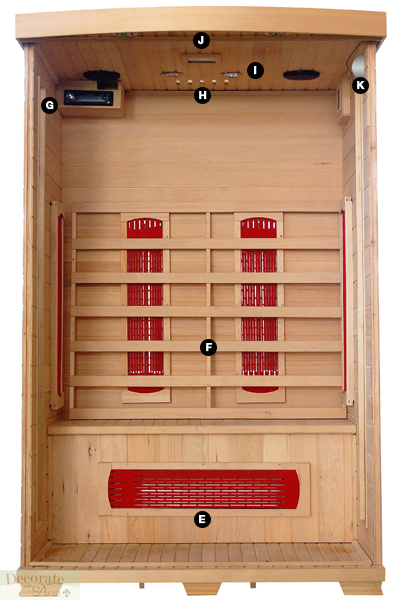 LOCATION - The Coronado Ceramic Sauna has 2 ceramic heaters on the back wall, 1 on the front of the bench, and 1 on each side of the sauna. 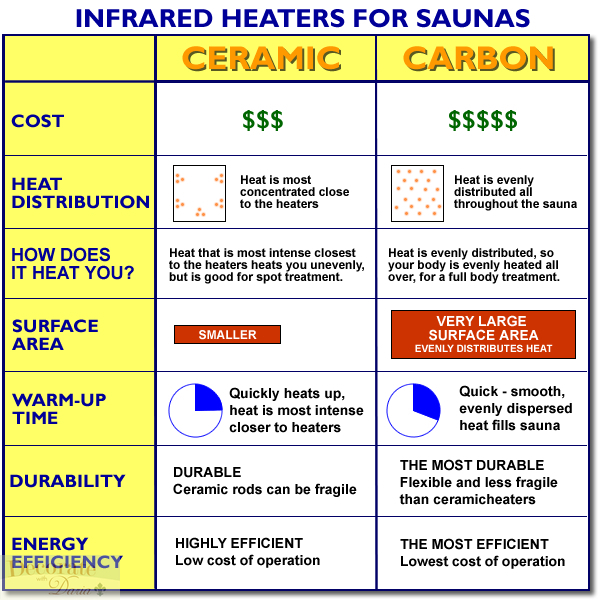 These 5 ceramic heaters evenly bask you in soothing infrared heat. 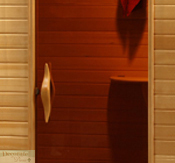 The door and glass panels on HeatWave Saunas are made of beautiful, 8mm thick, tinted Tempered Glass. 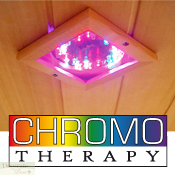 The tint provides a bit of privacy and aids in heat retention, while providing the safety of tempered glass. 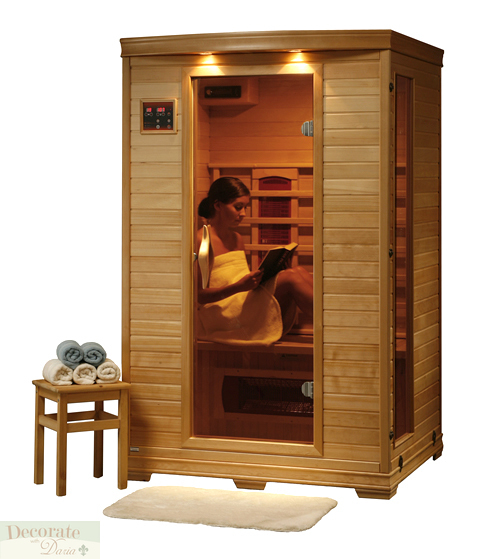 This HeatWave Sauna uses standard 120v/15amp power. 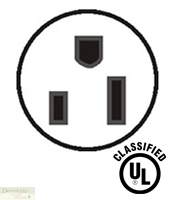 UL approved plug will fit right into your standard home electric outlet. 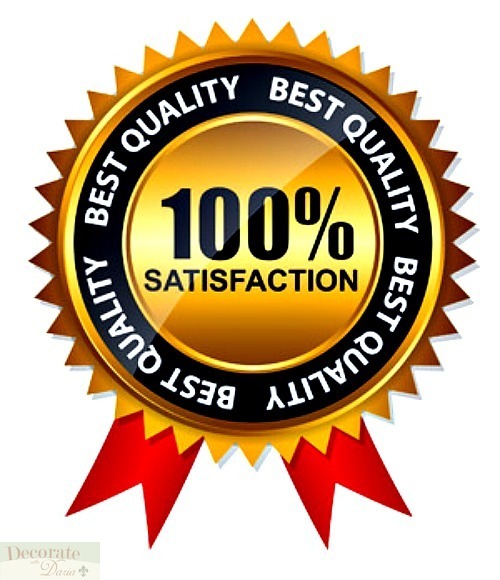 No need to upgrade or change out electrical! 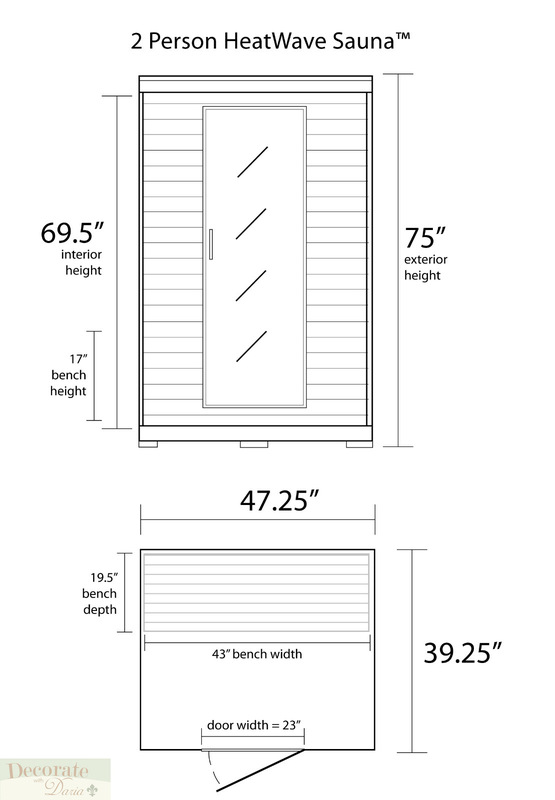 PRODUCT DIMENSIONS - Once assembled the Coronado sauna measures approximately 49" x 39" x 75". 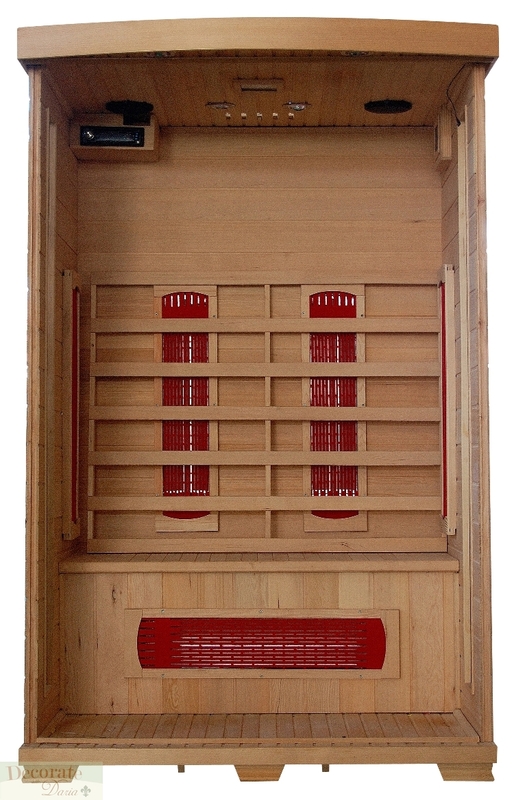 SHIPMENT DIMENSIONS - 78" X 30" X 54"